Burlington Northern Volume 3. The 1970’s BN. Contains introduction pre-merger film of: CB&Q, GN and NP. On paper, this one appears to be a big winner for Hill lines enthisiausiats. Keep in mind. Clear Block Productions have proven to be inconsistent to me. They always talk a great game. Read on. Program opens strong with some, hard to find vintage Burlington Route. End credits list William P. Price as a film source. I would bet, this was his film. Great Northern is present, as well. A good shot here. Weak overall, inclusion for GN material. This pre-merger section is the worthwhile portion of the video. Lack of a descriptive narration keeps it second rate. Well… That film is pretty old. 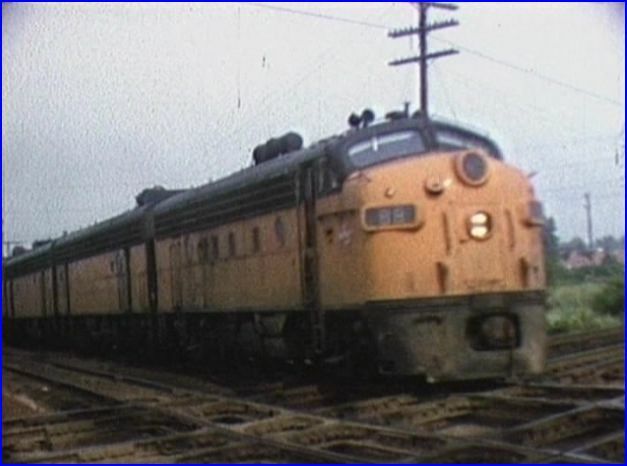 Things should greatly improve on the newer 1970’s Burlington Northern film. Right? Narration is very sparse on this show. My guess is the original notes, had little more then, general location and date. Nothing more is usually offered for the rest. Except the source. Ken Bealer. Have seen his name elsewhere. Doesn’t ring a bell. Certainly, not a negative one. Truth be told. Another train in the rain. These scenes appear to be a collection of outtakes. They look like remainders or rejects. They are pretty poor overall. I am extremely dissappointed in this DVD. I can’t believe this is out there, for sale! Too many scenes are washed out. Others have way too much sunlight bouncing off the train. Oddly enough. This show uses more maps and on-screen graphics! Even a rudimentary chapter menu. As if to try and polish the show up a little bit towards respectability. The actual train edits are rough around the edges. Quick cuts that seldom allow a viewer to see a boxcar. Often, the edits are jarring. It gets tedious. Color balance is generally close to non- existent. Those bright and bold colors, of the 1970’s are shadows, of what they should be on the screen. Most of the Vancouver shots are in rain. Too much of that! Sloppy presentation. Live audio is really good in some scenes. Not enough to save this show. Another observation regarding the editing decisions. 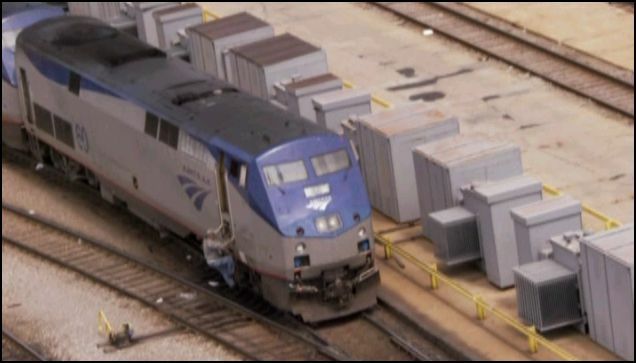 Boring, same looking Amtrak consists are shown in their entirety. Feels like the filler that it is used for. It is the bootleg quality presentation that ruins the enjoyment. Nice train Clear Block! Much of this show is nearly unwatchable! I came here for BN freight. Hump yard gives a few box cars, at this distance. Little else for Model Railroaders. Pass on this one. 1979 was the year that Bealer went in search of still operating F units. One of the best looking scenes is this one. Rare in this show. Not all that great either. Yakima Valley receives a very brief visit. This one minute looks good. I came for Burlington Northern… Why does this BN often look so crappy? No way does this one receive a good recommendation. 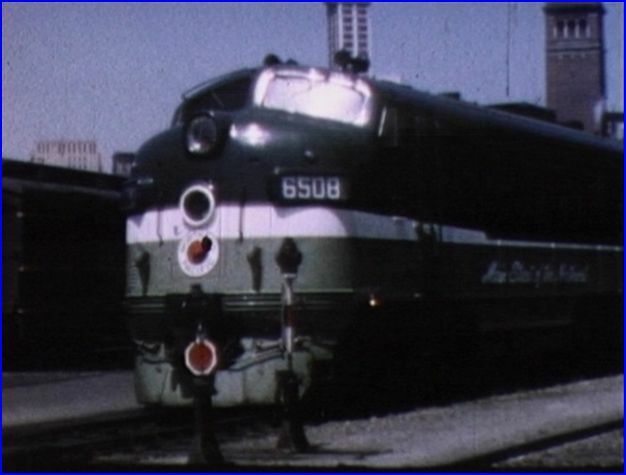 If you are interested in a good, informative vintage focused Burlington Northern program. Forget this waste. However. Clear Block just wasted my money, time and effort. I will save you time, effort and your own money! 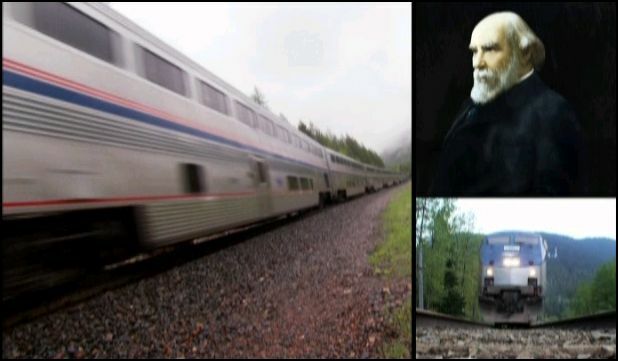 Just order the quality Burlington Northern: Charles Smiley Presents- Empire of the North. You may find this one and can be happy. Life is too short. Vignettes of the Burlington Northern Volume 3. Save your money on this dumb, overblown release. Locations for episode: Chicago to Seattle. 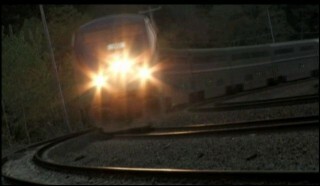 Here is a single episode from the series called, Extreme Trains. 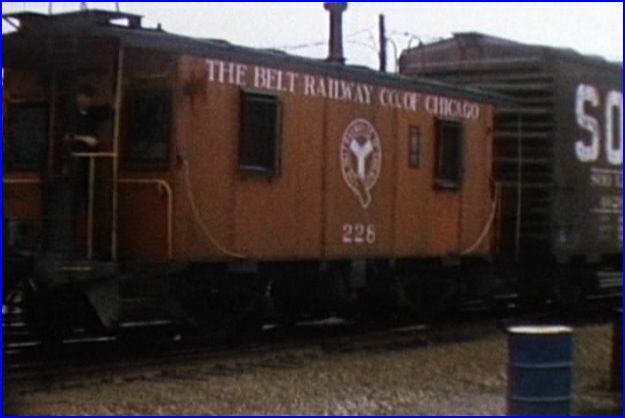 Matt Bown hosted various shows in this set on railroading. A good collection of programs that are fine for beginners. Additional information that sometimes, can keep veteran railfans interested as well. This is the story of the Amtrak Empire Builder. The modern version of a former Great Northern, premier passenger train. 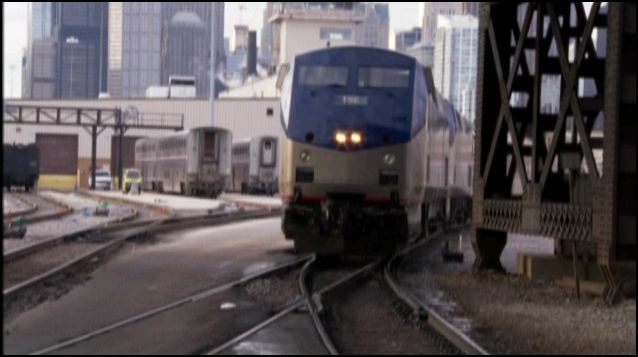 Viewers will experience the trip from, Chicago to destination at Seattle. 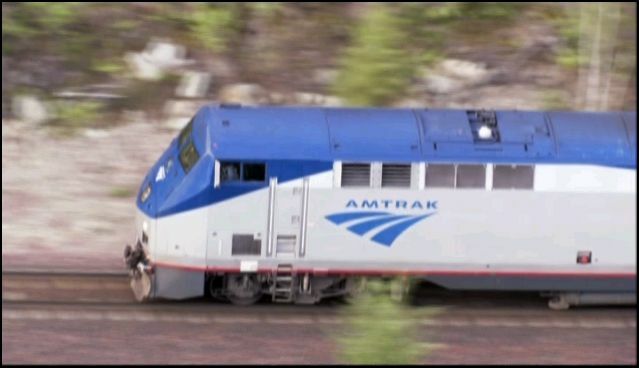 Comprehensive look at the contemporary era Amtrak passenger train. Coverage that features: equipment, employees, and the journey. Chicago Union Station tower view. A fast-moving and varied presentation. Historical aspects and modern operation are both well researched. This is very informative and fascinating journey, over a classic train trip. Rich in history with some great scenic vistas! A sidetrip to Steamtown for good measure. Compare the 4250 horsepower of a single Genesis, to the 1500 hp of a 1950’s EMD F7A. Matt kicks off the show with a segment on the power for the Empire Builder. Two General Electric Genesis locomotives. The design is called a Monocoque. A single, lightweight shell that mounts to the chassis. The shell is akin to a load bearing aircraft fuselage. Check one of the diagrams shown. At the Chicago Amtrak facility. Matt walks with an Inspector, underneath the eleven cars in the inspection pit. Safety is first and foremost. An overview of the preparation for the soon to be outbound train is complete. 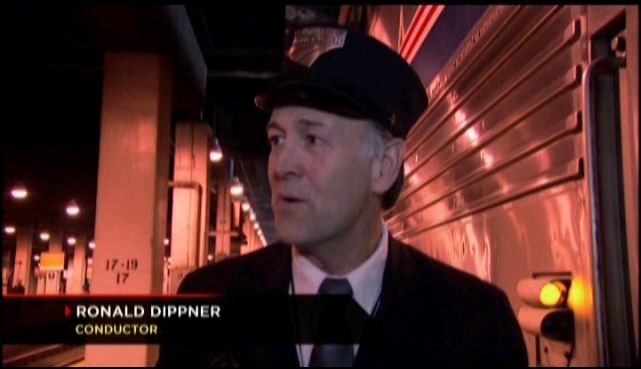 The conductor is ready for an on time departure from Union Station in Chicago. 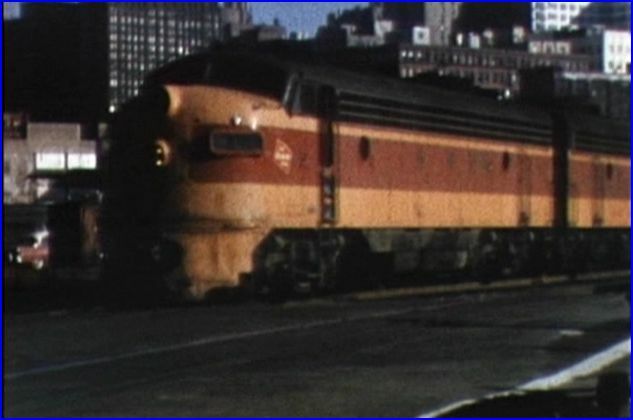 A cab ride contains a discussion on speed and safety features on the locomotive. 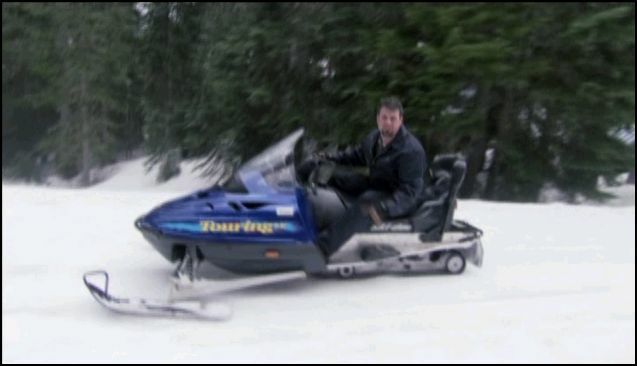 Another fun sequence is Matt on a snowmobile, on the original (abandoned) Cascade Tunnel line. 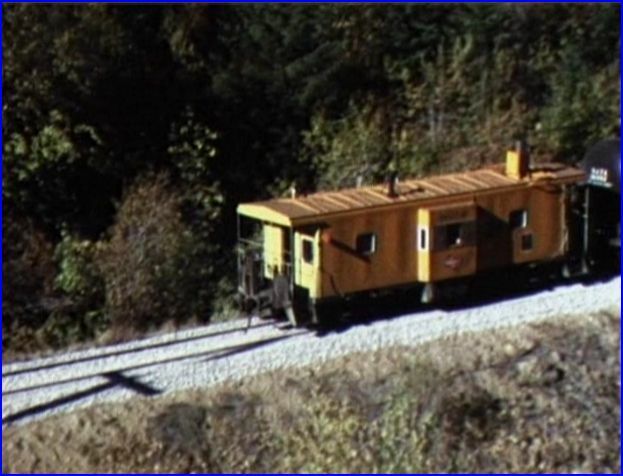 The early switchbacks are discussed with some more history of building the line. 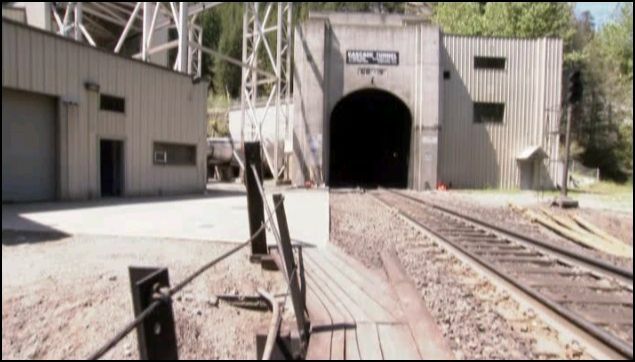 A feature on the 8 mile long Cascade Tunnel is a highlight. A nicely done program. Good for the whole family. Quite different from the majority of standard train videos. Matt is a lively and hands on type of host. 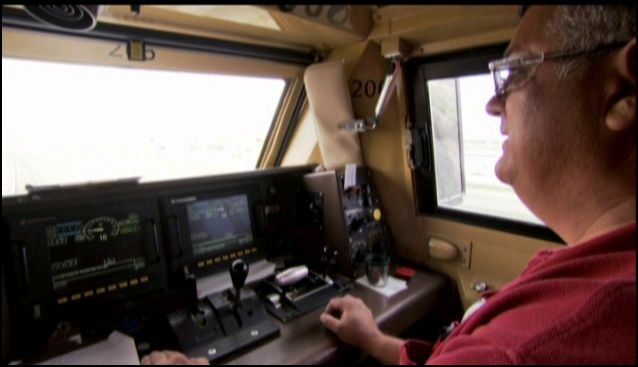 The many tasks that he tries do convey the hard work and care of Amtrak employees. The Long Road to Extinction is the aptly named subtitle. 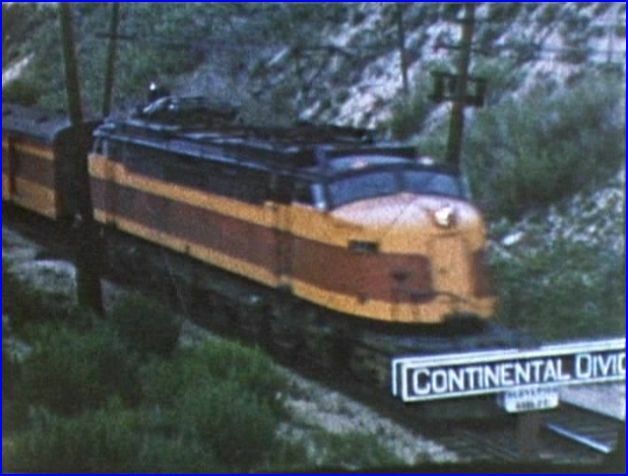 Milwaukee Road’s last quarter century is examined, as only Charles Smiley Presents can do. 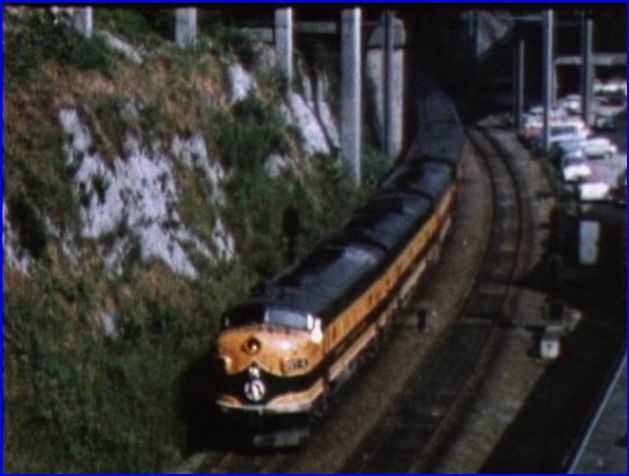 An extremely high level of detail provides viewers a knowledge base of Milwaukee Road. Friends and rivals, are an important element to put the railroad in perspective. Plenty of color film from the additional lines will assist the narrative. We begin in 1955. Steam and early diesels are the power. 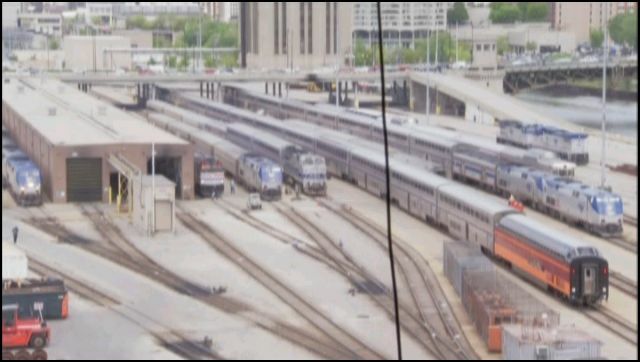 An intriguing look at different styles of tailcars around the passenger yard at Milwaukee. Sourced from 8mm and Super 8 color films. Quality is good to excellent. While not always pristine images, they are interesting scenes. All the cameramen have good composition. Digital enhancements have those vintage scenes appearing as best as possible. A number of scenes are from circa 1955. Chicago is a colorful showcase of railroads! 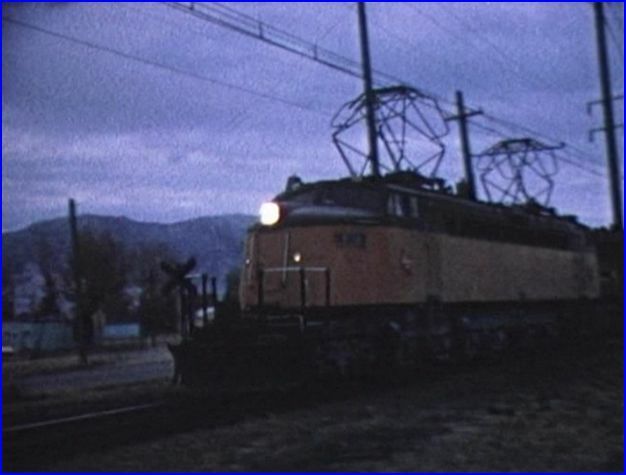 Check the dual pantographs raised near Butte, Montana. See Milwaukee Scrapbook by Charles Smiley for much more coverage, of the electrified territory. Outstanding and accurate! Live audio is custom matched, to the various locomotive models. Multiple sources were listed for the sounds. Painstaking attention to detail. Unparalleled, custom made maps, are one of the nice extras that are contained in all CSP shows. These are labor intensive, handcrafted illustrations. Referenced at key points throughout the presentation. Also, there is an extended preview section containing more titles of: mainline, electrics and trolley/ interurbans. 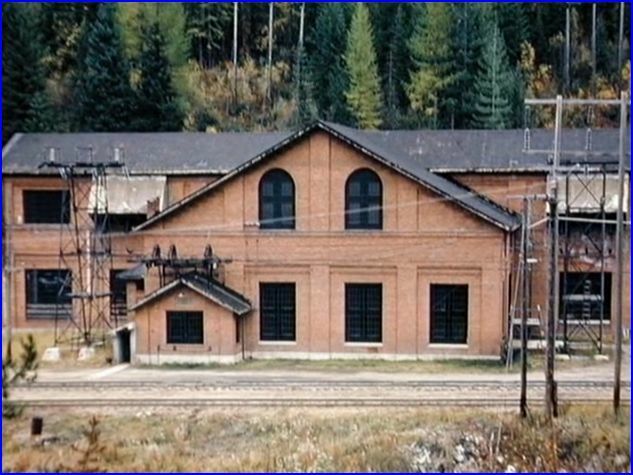 This 1917 built substation, at Avery is about to receive visitors. They will see the interior and hear the turbines startup. Who are the visitors going to be ????…….. all of us ! 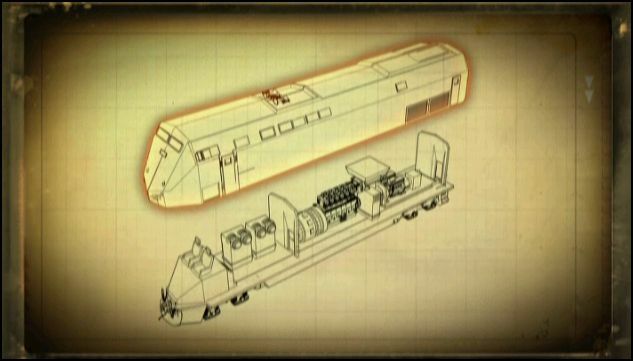 A PBS style of production, many facets of the railroad are revealed. Judicious use of: still photographs, memorabilia and fitting music, are combined to augment the program. Natural train sounds and the electric power substation are memorable. Narration by Charles Smiley is engaging and very informative. He is just as interested in the subjects as the viewers. This area is critical and sometimes overlooked by others. Poor narratives can detract from a good show. Charles always has amazing discussions. 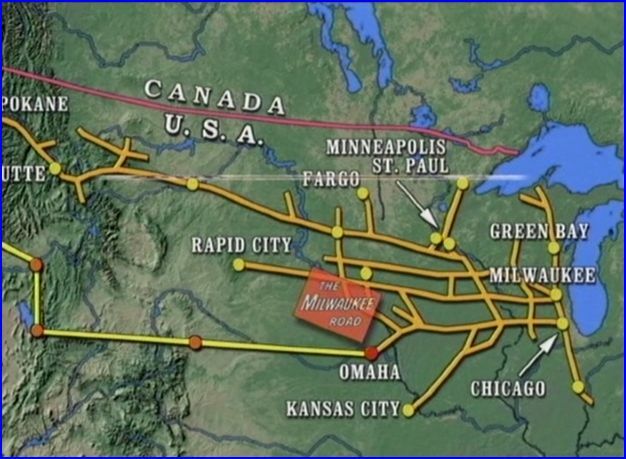 Milwaukee’s famed electrified portions of the Pacific Extension are a major subject. Little Joes are a centerpiece. Fascinating segment of operation at an old roundhouse. Eastbound Hiawatha engaged in a stub end station move. Note the beavertail observation. This show has a large share of the other railroads, that operated in the same territories. Some of this footage overlaps with his releases. Each individual story does get elevated by inclusion of the films. If Great Northern or Burlington Route is discussed, let’s see it! Cabooses are seen on many of the freights. A large supply in assorted roads. Fantastic. Wooden, Steel, Composite, Cupola, Bay Window, Wide Vision, Transfer. Collect them all! Rock Island is notable with a chapter of this movie. A sweet assortment of early to mid 1970’s footage. Some decrepit diesels and trackwork are familiar reminders of 70’s era Rock Island. Alco, GE and EMD locomotives, are all here. Monon Alcos are one of the rare inclusions. Butte, Anaconda & Pacific is another. All of the Hill Lines are included. Burlington Northern, Chicago Northwestern, and Union Pacific too. Indiana Harbor Belt even gets into the act! Louisville and Nashville. Montana Rail Link makes an appearance. Even more lines, in a plethora of paint schemes. 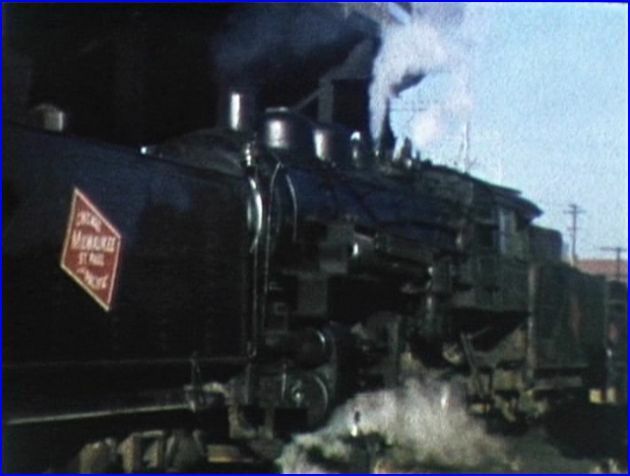 Milwaukee Road West has a wide ranging collection of vintage films. Easily could be subtitled, Railroads to The Pacific Northwest and more. 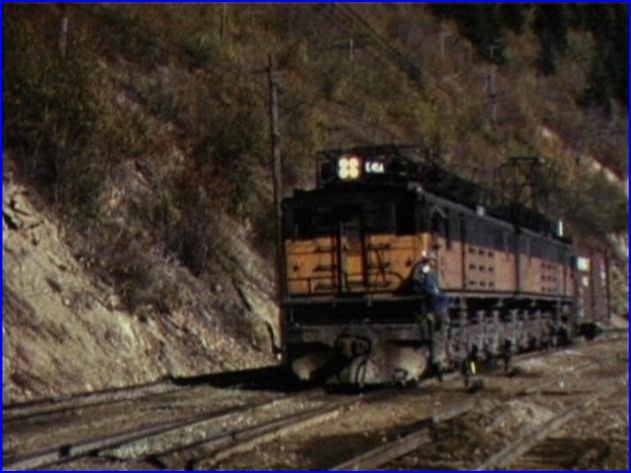 The comprehensive show is a cornucopia of; some legendary and little known railroads. 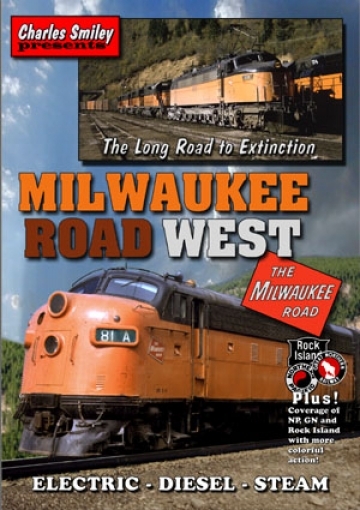 A ‘must have’ for Milwaukee Road fans. Rock Island and Electric aficionados take note, you are missing out. Railfans and Model Railroaders will find this show to be enjoyable. It also serves as a fine reference resource. A definite, deluxe presentation that people can revisit with satisfaction. This program picks up where Volume One left off. Emery Gulash and his cameras are at Chicago. The later time period offers up a timeframe that many will remember. If the 1950’s is before your time, by a decade or so, this will be the one for you. Emery Gulash is an original master of train videos. He was out doing these splendid films at just the right time. Who knew that so much of all this, would pass into history? Maybe Emery knew, having witnessed the disappearance of steam. An extremely well-traveled man. Here we visit Chicago in multiple trips. Various years have us see some of the changes in the ten years of railfanning at this mega hub of United States railroading. These are top shelf films from this master cinematographer. As usual, Green Frog has excellent production values. A fine script, good edits, and lovely film. By the way, there are quite a few Odyssey titles that are reviewed on ATVR. Fine series! Bob Carrera’s narration is informative and interesting. Natural sounds are included at the right moments. A few missed identifications on locomotives. Only noticeable to those that are aware. A chapter menu divides by years and locations. Film quality is superb. Besides the clarity of the 16mm film, it is all color. The colors are well balanced. The images are very clean. Excellent audio compliments the film. 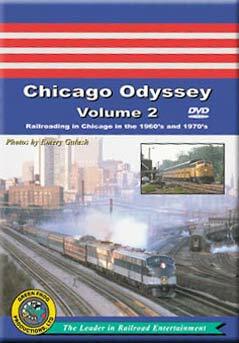 Many of the classic roads that served Chicago are presented in this volume. ATSF, BN, CB&Q, CNW, GM&O, IC, Rock, Milw, GTW, C&O, B&O, EJ&E, PC, ICG, Soo, IHB, South Shore, and Amtrak. Others get cameos like Southern Pacific and Union Pacific. Let’s begin with the first disc highlights of this 2 DVD set. April ’62 begins with Milwaukee Road and Chicago and Nortwestern action at Noble Street Tower. Some old ‘400’ CNW equipment is seen. The CNW commuters looked about the same, up until the early 1980’s. At Deerfield, Milwaukee Road freight with orange/maroon F-units and an RS-3. 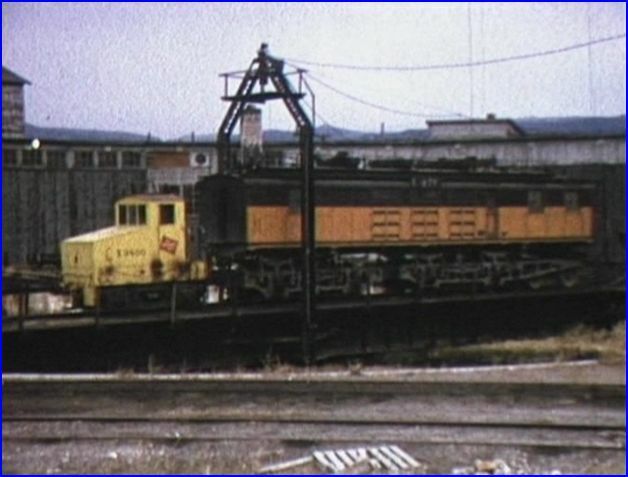 Rondout Jct., with Milwaukee Road and EJ&E centercabs. January of 1963 and zero degrees show why Chicago is too cold in the winter. March of ’67 at Joliet. GM&O Abraham Lincoln and a Santa Fe freight on a cold, March day. GM&O, The Limited climbs a grade. May ’70 at Morton Grove. Milwaukee passenger trains. This part drags the show. CNW at Wilmette. More passengers and double deckers. Repetitive. Milwaukee Road F7’s in orange/ black lead a thru freight. A local with an SW7 moves next. Burlington Route passengers are now BN, but you can’t tell. A BN painted E8 leads a mixed consist, at Hinckley. More BN freight trains, in various paint are viewed. At Lemont, the GM&O with the Abraham Lincoln rolls thru town. The stone station dates from 1853. Grand Trunk Western puts on a parade at Oak Glen. Old green/ gold runs with newer black/ orange. Both resemble owner Canadian National paint schemes. Blue Island is a very busy crossing. Much action is seen here. Indiana Harbor Belt, Grand Trunk, and B&O. Rock Island shows up too. A Milwaukee Road freight, a Penn Central train and a couple of B&O switcher transfers. Lots of first generation power. Classic freight cars complete the satisfying chapter. Back to Gulf, Mobile & Ohio in Lemont. Burlington Northern is still a new entity. The renumbered units are still in original owner paint. Emery frequented Lemont. Santa Fe was another railroad that ran through Lemont. Emery picks up some warbonnet F’s on a passenger train. Joliet was further out on that line. Emery shoots plenty of action at Joliet. He gets the El Capitain behind some FP45 units. The San Francisco Chief arrives behind F7’s. A trio GP20’s were on point of a freight. 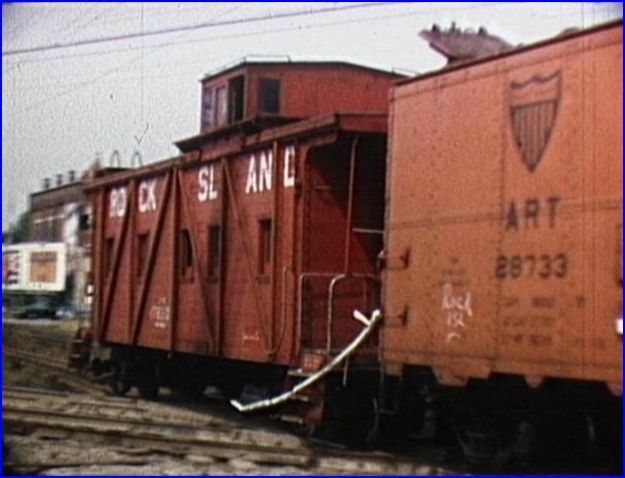 A classic Santa Fe caboose brings up the markers. There is more at Lemont. Check the ATSF train sattion there. Willow Springs is a short sequence. This was the next town up the line from Lemont. Five GP20’s on a manifest freight train. Super Chief behind FP 45’s. Yes, they are warbonnets. Illinois Central green electric cars look like antiques! Illinois Central provides a surprise, with a freight. A South Shore electric crosses this Kensington Junction. 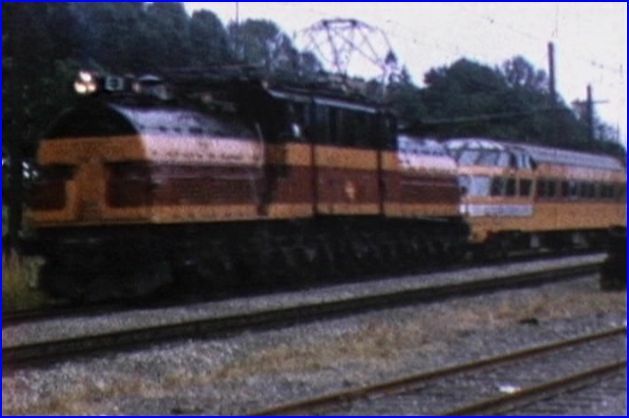 Another surprise is an IC E8A, lettered for Central of Georgia, with a passenger train. Griffith Jct. has some more action. Grand Trunk trains and C&O GP9’s on a freight. Amtrak in Transition shows the ragtag collection off cast off equipment in early times. Back to ICRR in Chicago. New and old electrics. Passenger cars, and freight. Good chapter. That concludes this great first disc. This is the best one in the set, by a longshot! Here is most of disc 2…… Passenger trains. A long segment of the old CTA on the Dan Ryan….yawn. Soo Line has a single freight train, with a single locomotive. Soo Line has one more freight, much later. Illinois Central Gulf in ’73, provides some badly needed balance here. Even the vintage TOFC train looks great. SW’s pull a transfer, with a red ICRR side door caboose. Burlington Northern at busy Clyde Yard, not Cicero yard with a single freight. Back to the passenger trains around the city. 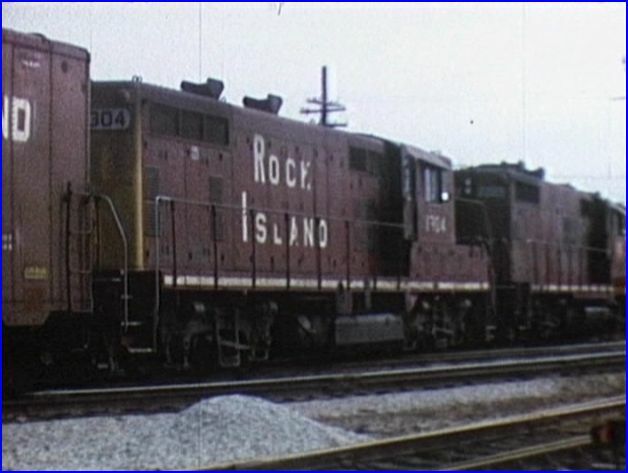 Some fine shots, Rock Island, Penn Central E8’s with refurbished Amtrak cars. A few impressive bridges add interest on this otherwise, excessive passenger segment. Light engine moves are sweet! While the first disc is well balanced with some passenger emphasis. The second disc almost lacks freight entirely! Too bad. The freights in those years are real classics. The breakdown on this set. Great first disc. The second disc is much too heavy on the Amtrak transition. A rather repetitious second disc. Still, it is all Emery Gulash.